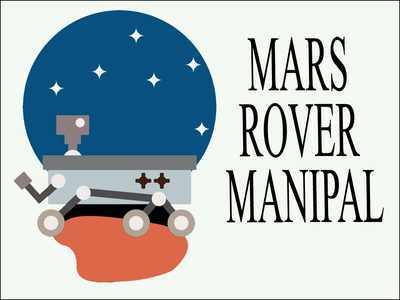 Mars Rover Manipalwas amongst the top 36 teams, out of the 95 teams to participate in 12th edition of University Rover Challengescored a total of 278.49 points and secured an impressive seventh rank globally and second in Asia pacific and first in India. The rover, named ‘Airawat’, reflected the dedication, passion and ingenuity of the team. Team members made a statement that they don’t believe in resting on past laurels. This only serves to strengthen the team’s resolve of making a podium finish at URC 2019. MRC registered globally, was invited to Mars Desert Research Station to participate in the 12th edition of University Rover Challenge. The competition was held at Hanksville, Utah in United States of America from May 31 to June 2. University Rover Challenge is a part of the global Rover Challenge Series organized by the Mars Society, an international non-profit human to Mars organization. The competition consists of four parts Science Cache Task, Extreme Retrieval and Delivery Task, Equipment Servicing Task, and the Autonomous Traversal Task. Each task consists of 100 points. The most exciting task this year proved to be the equipment servicing task. Teams and their rovers were required to load a canister into the lander, and conduct a series of complex procedures required to ‘launch’ this lander from Marsback to Earth.